If you're visiting Charlotte, North Carolina for vacation or happen to be in town on a business trip, you'll likely notice the large number of small towns and named suburbs that make up the Charlotte metropolitan area including towns and cities located in Mecklenburg, Cabarrus, Iredell, Union, and Gaston counties in North Carolina and York County in South Carolina. Containing the city of Charlotte—which acts as its Seat—Mecklenburg County covers the center of the metropolitan region and includes several suburbs including Cornelius, Davidson, Huntersville, Matthews, Mint Hill, and Pineville—though most are just labeled as "Charlotte" in city guides and on Google Maps. 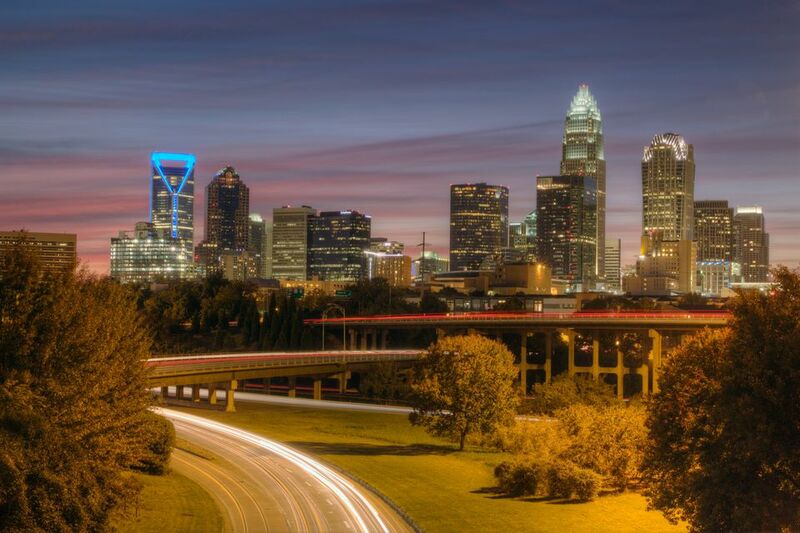 The City of Charlotte provides ample opportunities to explore, adventure, eat, shop—you name it. Racing fans can check out the NASCAR Hall of Fame while the avid explorer can visit Discovery Place; shoppers can visit the SouthPark Mall; foodies can dine at The Capital Grille or Carpe Diem Restaurant, and history buffs can check out one of the many museums inside the city limits. No matter what you want to do on your vacation to Charlotte, chances are you can do it without ever leaving the city limits. Located on the northeast side of Charlotte, Cabarrus County offers visitors a respite from the hustle and bustle of the city while still providing many of the amenities and entertainment options city dwellers have come to expect from the region. In Concord, you can explore Sea Life Charlotte-Concord—an interactive aquarium and exhibit all about the ocean and its creatures—which includes a 360-degree ocean tunnel, thousands of aquatic animals and plants, and even a few touch pools where kids and adults alike can literally feel oceanic life in their hands. Harrisburg, Kannapolis, Mount Pleasant, and Midland are also towns in Cabarrus, each of which offers its own shopping mall, attractions, and local restaurants, shops, and small businesses—Kannapolis is home to the North Carolina Music Hall of Fame, for instance. On the northeast shores of Lake Norman, directly north of Charlotte, Iredell County is ripe with history, offering visitors plenty of museums and exhibits that celebrate the culture and people of the area. If you're in the mood to relive a part of United States' history, take a trip to Fort Dobbs in Statesville—one of the largest cities in the county—to see this state historic site's daily reenactments of life on the Carolina frontier of the 1750's. You can also check out the Mooresville Museum for information about the settlement and development of the area. Other towns located in Iredell County include Davidson, Harmony, Love Valley, and Troutman. Located to the southeast of Charlotte, Union County includes the cities of Fairview, Hemby Bridge, Indian Trail, JAARS, Lake Park, Marshville, Marvin, Mineral Springs, Stallings, Unionville, Waxhaw, Weddington, Wesley Chapel, Wingate, and the County Seat of Monroe. To the west of Charlotte is Gaston County, which includes the smallest municipality in the state, Dellview, as well as Belmont, Bessemer City, Cherryville, Cramerton, Dallas, Gastonia, High Shoals, Kings Mountain, Lowell, McAdenville, Mount Holly, Ranlo, Spencer Mountain, and Stanley. To the south, York County in South Carolina encompasses Clover, Fort Mill, Hickory Grove, India Hook, Lake Wylie, Lesslie, McConnell, Newport, Riverview, Rock Hill, Sharon, Smyrna, Tega Cay, and York.